Our professional staff will assist you to find the office chair that is best suited to your needs. Having the right chair can help to create a comfortable and modern working space, so that your office makes a strong statement and leaves a lasting impression on your clients and visitors. 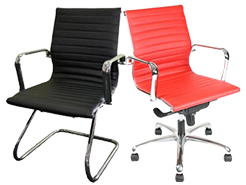 Prodigy Office Furniture has a selection of chairs suitable for all areas of your office environment. Are your office chairs getting old fashioned in this fast-changing commercial environment? 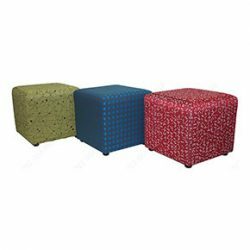 Do you need seating solutions for your office that will not just be comfortable to sit in, but also visually appealing and relaxing? Are your current office seating arrangements and chairs squeaky and uncomfortable, and distracting you from working productively? 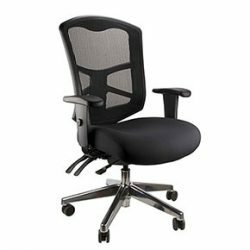 If your office is plagued by any, or all, of these problems then drop by Prodigy Office Furniture and select from one of the widest range of office chairs in Melbourne. At Prodigy Office Furniture, we don’t just offer furniture, but solutions to all your office furniture and fit-out needs. Our range of office chairs will keep you comfortably seated behind your desk and charged up for the long day ahead. 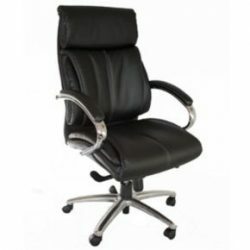 With our range on stylish and cheap office, reception, conference room, computer and ergonomic chairs Melbourne businesses big and small can look the part, while keeping their employees comfortable. Thanks to Prodigy Office Furniture’s leather office and conference chairs, Melbourne companies can show their clients that they mean business, and invest in a well-built and reliable product that will deliver years of quality service. Our team have years of industry experience, delivering ergonomic office chairs across Melbourne and throughout Australia, helping office workers to develop good posture and improve their overall health and wellbeing. For more information on our extensive range of durable and modern office chairs for sale Melbourne customers can contact the experienced team at Prodigy Office Furniture today, or scroll down to learn more about our products, services and solutions on offer to transform your office. 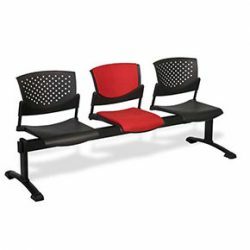 These seats are one of the most economic office solutions with a 3-level mechanism. In some chairs, the seats can be shifted and arms adjusted. The load handling varies among task chairs of different companies – which is why Prodigy offers a wide brand range of these office chairs for sale. Melbourne business owners looking to give their employees the right tools for the job can click the Task Chairs link above to learn more about the available range. 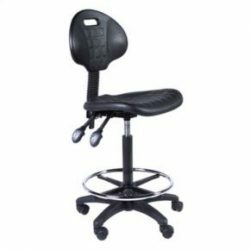 These chairs are similar to task chairs but are designed giving priority to comfort and posture and minimizing backaches and pain. They also have several locking mechanisms and have adjustable back supports. With ergonomic chairs, Melbourne employers are letting their employees know that their health and wellbeing matter – ensuring productivity and employee retention. Interested in finding more about Prodigy’s ergonomic office chairs? Melbourne residents can call us on 03 9793 1222 to discuss ergonomics in the office and our great ergonomic range. These chairs either come in ultra-thin leather upholstery or deep foam fabric seats with several colour options. The seat mechanisms found can either be Multi-lock knee tilt, infinite locking or Synchron. The chairs have either a polished steel or chrome base. When it comes to professional and powerful leather office chairs, Melbourne buyers can trust Prodigy to provide options for businesses of all sizes (including cheaper ‘leather looking’ options). Our executive chairs also make a great option as conference room chairs. Melbourne businesses wishing to bring a touch of refinement to their meetings and offices, click on the Executive Chairs link above to explore our range. These seats have variable structures. They either come in 4-legged spider base or framed systems. 4-legged spider base chairs come in wood or steel and aluminium whereas frames are normally chrome or black plated. Some chairs also come with arms and are either cushioned or made of polypropylene. As reception chairs, Melbourne businesses can invest in ensuring their customers or business associates aren’t uncomfortable or being made to stand while waiting to see you. In terms of making a good impression, comfortable reception chairs for Melbourne businesses (or clinics) are the smart choice to make. There’s a lot of overlap between conference chairs and reception room chairs, but conference room chairs give a more formal look considering they are to be kept in conference rooms and used by important clients or associates. They also come with adjustable mechanisms and comfortable seats. With conference room chairs, Melbourne buyers are often seeking chairs which make their employees comfortable and any visiting associates or clients feel at ease. With similar mobility and aesthetic considerations as our leather office chairs, Melbourne businesses can trust Prodigy Office Furniture to provide what they need – without breaking their budget. These are ergonomic, come with 3D zero pressure support and are adjustable. These come with replaceable seat cover options and come in a standard black fabric. 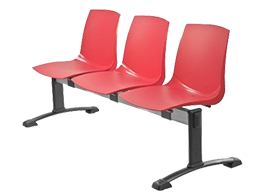 These are an extremely versatile seating option – they can be used as reception chairs, computer chairs or conference chairs. Melbourne businesses, whatever you’re looking for, mesh chairs offer a budget-conscious option that still looks great. . 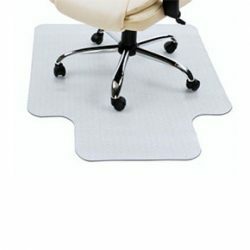 These are normally used in dynamic environments, are adjustable and have low-height back support. These are mostly polyurethane. These are fancy seating solutions built with steel base frame and legs. The seats are either polypropylene, fabricated with cushions or leather. These provide an open, comfortable vibe, particularly when paired with reception chairs or to add an air of luxury alongside otherwise cheap office chairs. Melbourne businesses, whatever space you’re furnishing, think about whether ottomans could offer a bit of variety in your furnishings. Prodigy Office Furniture is your portal to quality & durable office chairs in Dandenong, Melbourne CBD and suburbs across the Greater Metro area. Whether you need reception seating, executive leather seats or standard workplace computer chairs, Melbourne business owners won’t find a better option than Prodigy Office Furniture. You can organize a visit from a Prodigy consultant to see your office space and discuss what would work best in terms of seating, reception furniture and computer chairs. Melbourne can trust Prodigy to bring more than a decades’ worth of experience in commercial furniture into every consult. 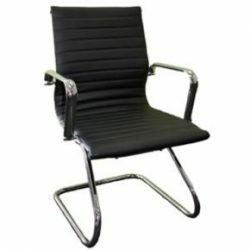 Want to discuss our range of reception, executive, office and conference chairs? Melbourne business owners can call us on 03 9793 1222 to find out more. Prodigy Office Furniture – when it comes to professional and cheap office chairs, Melbourne buyers won’t find better than our great range.